As part of the Rave Reviews Book Club, I occasionally get to host authors on their spotlight tours. The most supportive authors are chosen for this spot, and Natalie is a super supporter. I want you guys to give her a warm welcome, and don’t be afraid to use those sharing buttons at the bottom. Thank you for joining me today on this fourth day of the “Spotlight” tour! Today, I’d love to share an extension of my poetry that is very near and dear to my heart. When passion and purpose collide. Did you know that the simple act of piecing together a jigsaw puzzle can offer therapeutic benefits? It can, and the promising findings were impossible to ignore. While stimulating the brain, it also acts as a form of meditation, allowing the mind to relax. This simultaneous action has shown promising findings for people living with dementia, and can be a valuable source of reprieve for individuals living and coping with mental illness, including PTSD. 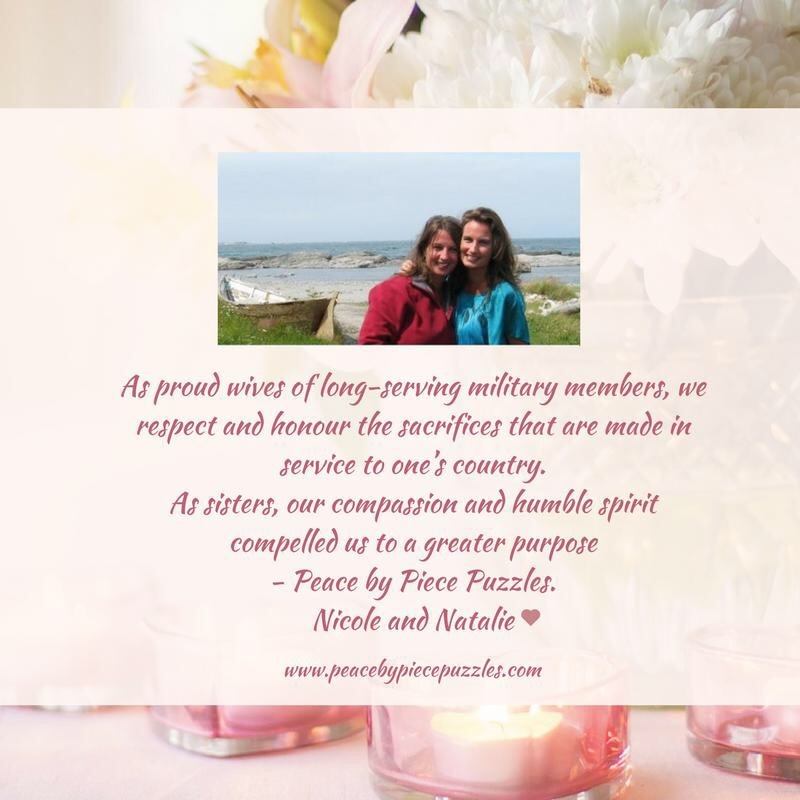 My twin sister (Nicole) and I are both proud wives of long-serving members of the Canadian Armed Forces. We didn’t plan it that way. But we are blessed beyond measure. We all know the devastating impact of PTSD. It hurts everyone. The man or woman suffering with it, their spouses, partners, children, parents, siblings, friends, relatives, and even their pets. Everyone is impacted. Many of those who are suffering with PTSD are military, police, paramedics, and firefighters. They are our first responders. In their selfless acts of service, they have suffered. It’s painful to see. We have immense respect for those who serve, those who suffer, and those who struggle to find peace in their minds and hearts. If we can contribute even a small piece of peace, it is our privilege and honour to do so. It is this inner call to action that Peace by Piece Puzzles was born. We both have had fulfilling careers in business (Nicole) and counselling (me). Through our work and personal journey, we have witnessed the remarkable power of the human spirit. Equipped with empathy and compassion, we are eager to make a difference. We believe that every act of kindness, every gesture of love and understanding, is an infinite gift of grace. Let’s never underestimate its power, for it is a precious and always timely gift. What is a Peace by Piece Puzzle? Along with a beautiful, tranquil image, every Peace by Piece Puzzle carries an inspirational verse, a message of hope and love. The verses are written by me and come from a heart of gratitude. Through my words, I aspire to offer solace and hope, love and understanding. In our face-paced, dynamic, and often complex lives, a gift to oneself or a loved one is special. A Peace by Piece Puzzle is a gift from the heart; it is permission to quiet the mind alone, or come together with a loved one in a shared experience. During those moments when words are sometimes hard to find, a Peace by Piece Puzzle can be your voice. Today, I would like to share with you the verse “Mighty Heart.” I wrote this piece as a tribute and testament to the power and resiliency of the human spirit. This poem is included in my second and recently published poetry collection, The Heart’s Lullaby. I believe mental wellness should not be a convoluted concept; it’s an essential piece of our lives. A daily promise to ourselves that we are worthy to be free of inner turmoil, free to love and be loved. Piece by piece, step by step, we can do this. We are all in this together. Please visit our website, view our puzzles, and share with others. And piece by piece we built again. That ventured into the unknown. For into the fray we sailed. 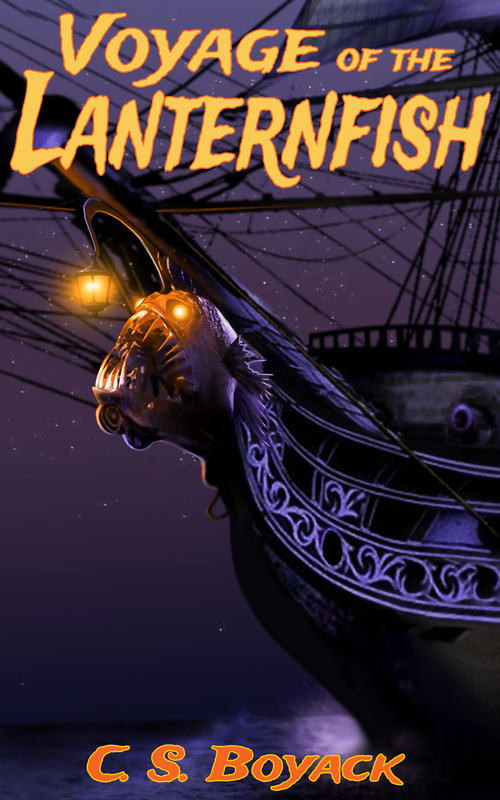 Dare this mighty voyage … both noble and proud. 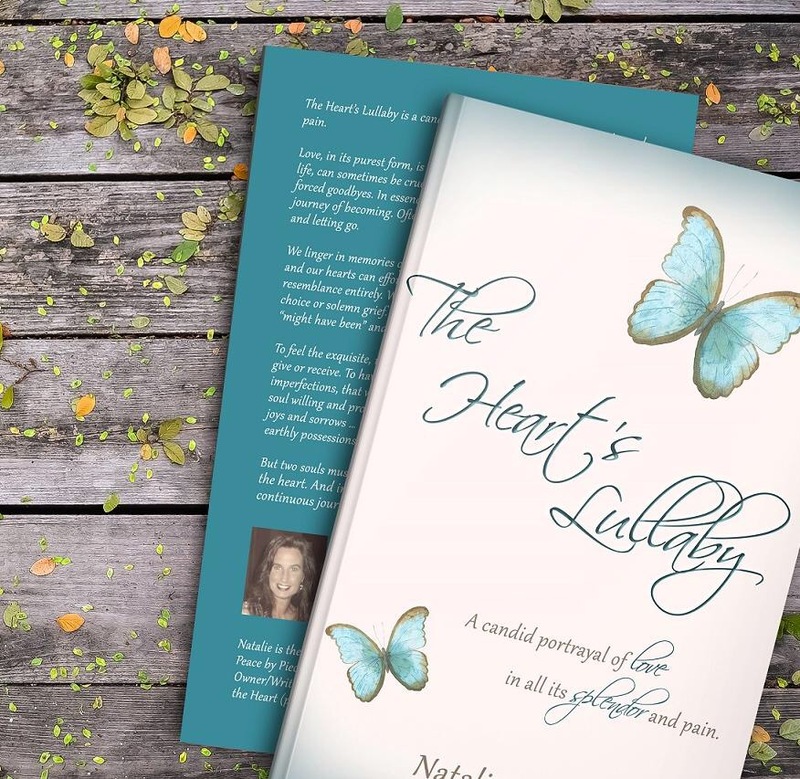 In celebration of my “Spotlight” tour, I’m delighted to say my second and recently published poetry collection The Heart’s Lullaby is currently available for .99 cents! With a BA in Psychology, Natalie has worked in the Counselling field for 15 years. Through her work and personal journey, she has witnessed the remarkable power of the human spirit. Now, as an author and poet, she is passionate about stories that touch the heart and awaken the soul. Through words, she aspires to offer solace and hope, love and understanding. Natalie is the Co-owner and Writer of Peace by Piece Puzzles. She is the Owner/Writer/Designer of Whispers of the Heart (printable art/poetry/verse). She was born and raised in beautiful Newfoundland, Canada, with her two brothers and twin sister. She now resides in Ontario, Canada, with her husband, a Soldier in the Canadian Armed Forces, and their little dog, Bella. She loves kayaking and the freedom and serenity of being one with water. She is an avid reader, passionate writer, and seeker of tranquility along life’s mystifying journey. Best of luck, Natalie, with your writing and finding new fans! I’ ve always had a soft spot in my heart for poetry. Your collection sounds enticing. Never been the sugar in someone’s coffee before. I’ll take it. Hope the post gains you a ton of attention. What a beautiful post from Natalie. 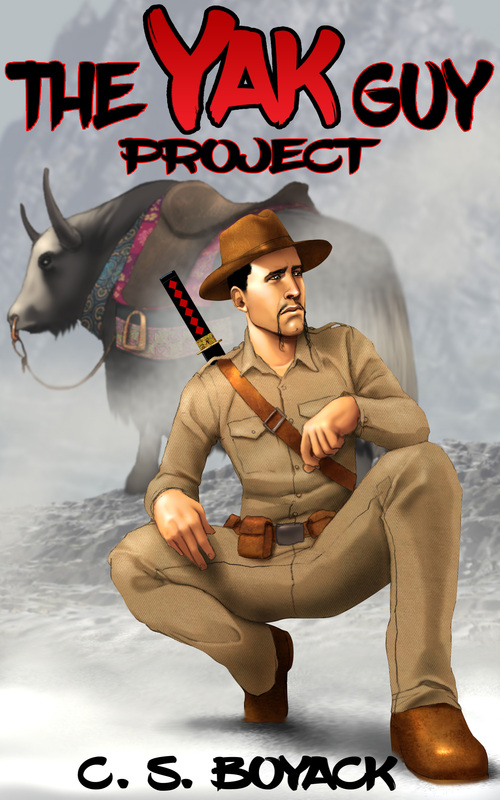 The Peace by Piece Puzzles project deserves a Novel Peace prize! Such caring, giving hearts. The poem is appropriate in regard to the recent disaster of Hurricane Harvey. Thanks, Jan. Natalie is a strong supporter and I’m honored to host her. Thanks so much, Jan, for your kind and encouraging words. I’m so grateful that Nicole and I can do this together. I chose this verse to share as it’s universal in truth, and I hope it inspires others to see their strength. 🙂 Thanks again for your kindness and continued support. Cheers! Congratulations, Natalie. Beautiful post. Thanks, Craig. Thank you, Natalie. We are doing okay. Just waiting to return to our home. We have US military servicemen and servicewomen in our family, so I understand the pride and the concerns. Blessings to you and yours, and best of luck on the release. I love Natalie’s work, so it’s a pleasure to see her here today. And what a great undertaking with Peace by Piece. cheering you on Natalie! Thanks, Mae. Get back to work (joke). Another beautiful poem, Natalie! I loved it with the wolves in the background. I like how you use puzzles for healing! Thanks for hosting, Craig! Lovely, Natalie. Your work is always inspirational and heart-softening. Blessings. Thank you for hosting, Craig. “We believe that every act of kindness, every gesture of love and understanding, is an infinite gift of grace. Let’s never underestimate its power, for it is a precious and always timely gift.” Anything that contributes to the ongoing support of those of us that suffer through and beyond PTSD ourselves, and all those that hold on to us with love should be considered a gift. What you and Nicole have done is inspiring, Natalie. Thank you. Craig, thanks so much for hosting Natalie today. Soooz, you’re always close at heart and someone I’ve come to admire and respect deeply. You’re in the trenches and never waiver in your resolve. Remarkable really. Hello! Puzzles are great exercise for the brain, but at the same time they are soothing and fun. Natalie, you and your sister are doing a wonderful thing. Your poem, Mighty Heart is very inspiring––love it! Thanks for hosting, Craig! Thanks for dropping by, and for taking the time to comment. I saw the puzzle with the ocean scene. It’s beautiful. Thank you and raise a glass for me. Cheers! Thanks for dropping in and commenting. I adore this book cover, Natalie, and thoroughly enjoyed reading THE HEART’S LULLABY. I would highly recommend it. Best wishes with everything! Thanks for dropping by and commenting. Great post, you two! Nice to meet you Craig! Hi, Laura. Thanks for dropping by, and for leaving a comment. You are a talented poet, Natalie. Loved the poem! That’s interesting, and a real concern. Could Amazon help with that? Great show of support, Mr. Boyack! Thanks for hosting. Hi, Beem. Thanks for dropping by. Lovely work. The cover is very inviting. Thanks for dropping in, Gracie. How wonderful to see Natalie here, Craig, with her inspiring poetry and puzzles. A lovely treat on a Friday morning. Natalie, that was lovely!! My youngest daughter is named Nicole and she and her sister, Kelly are close like you and your sister. I do puzzles daily and it is soothing. I just bought your book, The Heart’s Lullaby. Thanlks, Craig for hosting. Natalie, what an amazing concept! Heading over now. Craig, many thanks for sharing.